Carley Rhinehart, Aladdin - Izaiah Rhinehart, and Narrator - Scott Bedford. The heck with the Walt Disney animated feature, Patio Playhouse Community and Youth theater brings Aladdin Jr. to the stage. Prince Ali/Aladdin – Izaiah Rhinehart and Princess Jasmine – Natasha Banish. Aladdin Jr. is brought to life through the performances of a highly talented youth cast, led by Izaiah Rhinehart playing the role of Aladdin, Natasha Baenisch lighting up the stage as Jasmine, Wyatt Rhinehart as Genie, David Gregory as Jafar, and Belle Morelock as Iago. The stellar supporting cast of Carley Rhinehart, Scott Bedford, Christian Reyes, Grace Nanquil, Marissa Still, Caitlin Appolito, Ben Still, Jack Roper, Natalia Marquez, Rayne Gonzles, and Jazmin Sanchez. The enthusiastic cast is capably directed by Cox, with music direction by Jenny Gillette, and produced by Peggy Schneider. Choreography by Candace Carbajal truly brings remote Agrabah into the intimate space of Patio Playhouse. Whether audiences have seen the movie or not, there are tricks up the sleeve to delight and enchant on the mystical magic carpet ride adventure of Aladdin Jr. Performances begin Friday, April 1 and play through Sunday, April 17. Friday and Saturday evening performances are at 7 p.m. while afternoon performances are 2 p.m. Sundays. All shows will be presented at Patio Playhouse, 116 South Kalmia Street, Escondido (between Vinz Wine Bar and Continental Deli). Tickets cost $15 for Adults and $11 for youth, ages 16 and under. For reservations, contact the Patio Playhouse box office at (760) 746-6669, email, or via the website at www.patioplayhouse.com. 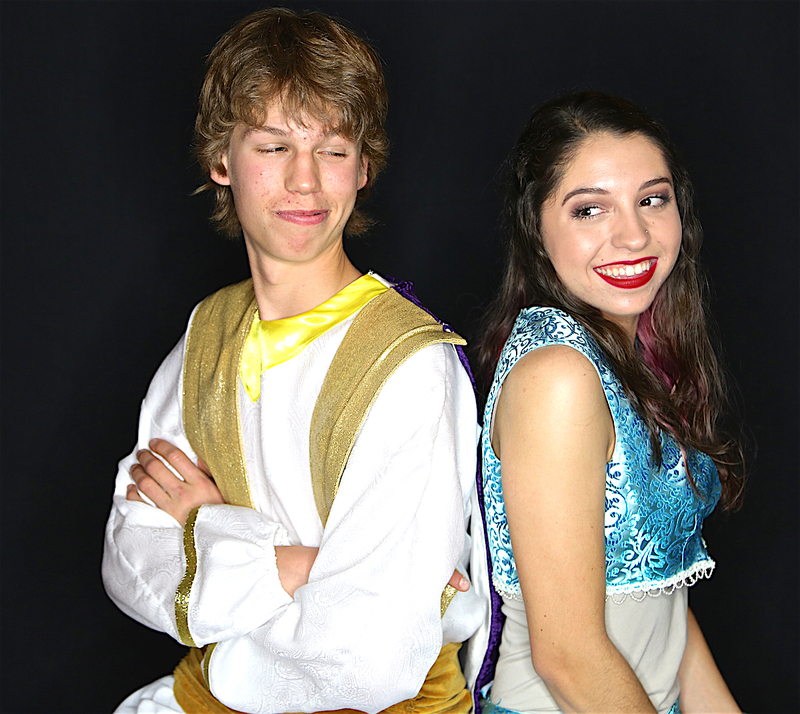 Be the first to comment on "Walt Disney’s 31st film, Aladdin Jr., comes to life at Patio Playhouse Youth Theater"